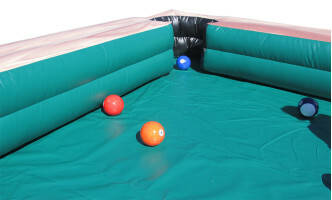 Play pool like you've never played it before with one of our Soccer Pool sports interactive inflatables. In this game, you don't use a cue to shoot. 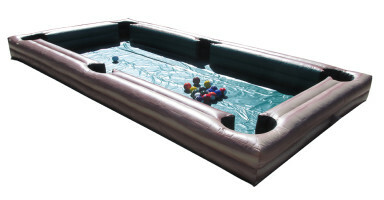 Instead, you climb into the table like you're a figurine and kick the cue ball with your feet. Take turns with your friends or just run around pretending you've all been hit by a shrink ray.